Earlier this week we proudly announced the Dell PowerEdge 12th generation servers. To share some of the excitement and reception our products have received across the globe, in this three-part blog series we will talk about the top 12 things you should know about our 12th generation launch, philosophy and innovations. 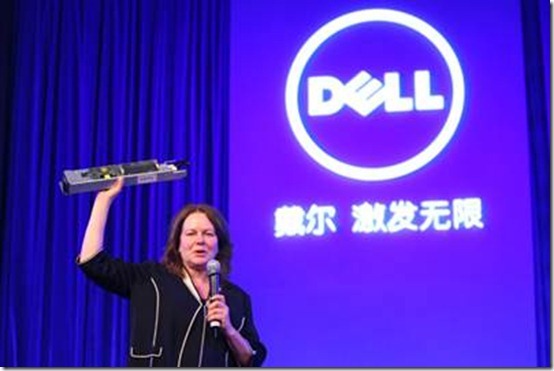 Seventy-seven hundred unique customer interactions led to the design and development of the most powerful and manageable servers ever brought to market in the history of Dell. From your input, we are continuing to enhance and bring you solutions that help you deliver results faster, ensure business continuity and maximize efficiency. We’ll start with the heart-beat of the servers — our innovative, automated agent-free systems management. 1. We began the embedded server management evolution. Embedding the intelligence of server lifecycle management into servers was first invented and delivered here at Dell in 2009. In fact, over 3.5 million 11th generation PowerEdge servers have shipped to date with embedded management technology that automates fundamental server lifecycle management tasks. Dell customer Virtacore, a private cloud provider, is already saving 43 days per year in server management time leveraging the automated remote deployment, update and maintenance capabilities of 11th generation iDRAC6 with Lifecycle Controller. We continue to blaze trails with our 2nd generation Integrated Dell Remote Access Controller (iDRAC) with Lifecycle Controller that now comprehensively automates all four of the most crucial, repetitive and previously time-consuming server management tasks: deployment, updates, monitoring and maintenance. 2. We “Fired the Agents” and now perform agent-free. With our 2nd generation iDRAC7 with Lifecycle Controller, the entire lifecycle of server management can be performed in an agent-free environment. Previously, the industry- standard required that management agents and drivers be installed in the operating system in order to monitor and update most hardware components. This is no longer true or beneficial today. The iDRAC7 with Lifecycle Controller enables monitoring of all components in PowerEdge 12th generation servers without having any systems management software agents or drivers installed. Our agent-free management eliminates those incremental software agents that previously consumed precious CPU cycles and thwarted IT Administrators’ productivity by requiring time-consuming installation and compatibility testing with each update. 3. Integration with popular management frameworks makes our servers more popular. It has never been easier for those of you who are using a 3rd party management framework to leverage the benefits of our embedded management capabilities. The functionality provided by iDRAC7 with Lifecycle Controller is now fully integrated with systems management solutions from our partners Microsoft, VMware and others. Utilizing your existing systems management console, you can deploy, make updates and monitor and maintain PowerEdge servers with all the speed, automation and savings that only Dell OpenManage can deliver. Our OpenManage Portfolio video offers more details. Because our embedded management performs agent-free, the operating system or hypervisor on the host server is irrelevant in performing typical IT operations. For example, Dell Lifecycle Controller Integration with Microsoft System Center enables IT Administrators to update PowerEdge servers running Windows, Linux, ESXi and Hyper-V through the System Center Configuration Manager console in a single, uniform procedure — within minutes. For those using VMware vCenter, the Dell Management Plug-in for VMware vCenter enables customers to bridge the physical and virtual gap by automating and consolidating key Dell server management tasks in the VMware vCenter console. Learn more about this CRN “Best Data Center Product of the Year 2011” winner in this quick video. 4. OpenManage Essentials is essential management at its best. Complementing our OpenManage portfolio and agent-free innovation, our Dell OpenManage Essentials console was officially released on Feb. 28 and is available as a download here. One of the key features of OpenManage Essentials is its ability to monitor Dell PowerEdge 12th generation servers with or without a systems management software agent in multi-vendor operating systems and hypervisor environments. OpenManage Essentials combines innovative simplicity in design with intuitive usability, operational efficiency and automation of basic hardware management tasks -– discovery, inventory and monitoring -– for Dell PowerEdge servers, EqualLogic and PowerVault storage, and PowerConnect switches from a single, one-to-many console. And with a one-click-and-it’s-operational process, OpenManage Essentials is up and in service in a quarter of the time it takes to install, configure and operate a console solution offered by one of our competitors. Watch the OpenManage Essentials video for a quick visual summary of what more it can do for you.